James Elam says an open mind is imperative to having success while fishing high-water or flooded conditions. 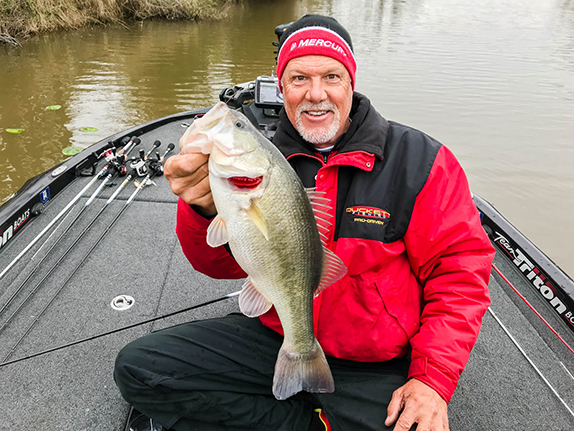 James Elam, a budding Elite Series star who honed his skills fishing flooded waters at home in eastern Oklahoma, learned early on that adapting to the conditions is one of the keys to have success in high-water scenarios. 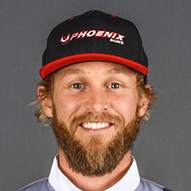 There have been numerous times where he�s practiced for a team tournament only to have his pattern destroyed by floods that pushed water levels up anywhere from 5 to 20 feet. Come tournament day, the water had turned to chocolate milk and the flow was strong, but he dealt with it. He had no choice. If the water came up a foot per day, he had a puncher�s chance. However, when faced with a quick, strong influx of water, he knew fishing would be tough. The first couple of days of hard rising water are usually the best, he says, because, he fish literally go into shock. Fish will regroup, reset, and move around without being keyed in on specific things. While Elam can still catch them, patterning them isn�t easy. Under such conditions, he�ll target steeper banks � finding one with a steeper cut is key. A lack of bushes and trees helps, too. As the water recedes, Elam has found bass start relating to deeper water and the outside contour edges. He�ll generally target bushes in the spring (March-April) while willows are his best bet during the summer (April-October). When it comes to new cover, he always favors the isolated variety since it is much easier to dissect. If he finds a light post in a former parking lot or even a porta-potty, he�ll fish the shady side. Elam believes that once the water level stabilizes or crests, largemouth become easier to target. He envisions the fish retreating into newly flooded wood and as the water stabilizes, they�re actively feeding on bugs or shad so far back that the longest cast can�t get to them. As the water starts falling, those fish will pull out not wanting to get stranded on high ground. At that point, Elam looks for them to relate to the outside edges of banks and points. Once the water stabilizes, they�ll pull back to a point housing bushes or willows until they finally retreat from the last standing cover. �I�ve seen it to where there is still a little bit of water in the bushes or willows and they�ll just be right in front of them,� he said. 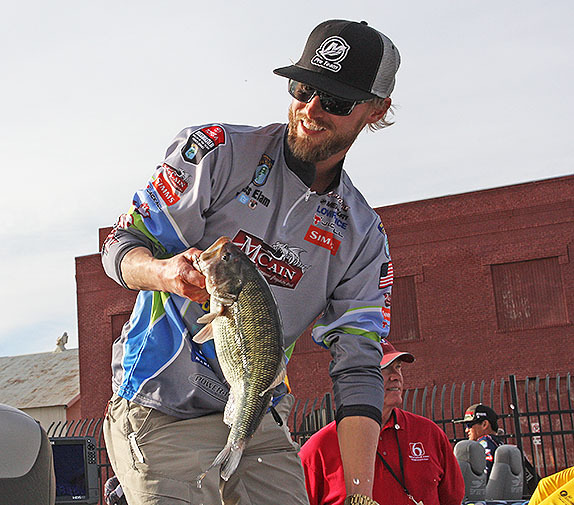 How bass position is important when fishing a flooded environment, Elam says. Some days, he�ll flip to the heart of a bush and let it fall to the base. Other times, the front of the bush is key. Don�t forget, largemouth are notorious for suspending. Run-offs in the backs of creeks can be productive. At first, it�ll run pure mud before clearing up. Smaller lakes won�t have the same degree of run-offs or flooding, but each will have their similar features to look for. 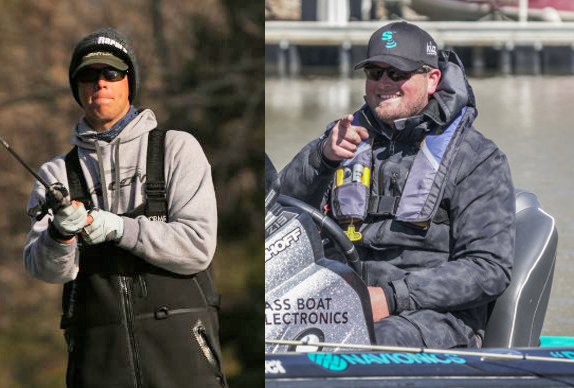 Some anglers get agitated when faced with high, cold, muddy water. Elam shrugs it off knowing eventually the fish will come around. The warming trend helps to settle the river as muddy water heats up quicker than clear. In four to five days, things should stabilize provided no additional rain falls. 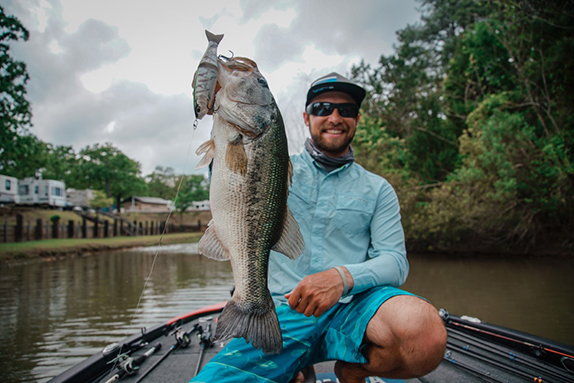 Elam defies conventional wisdom trying to cover dirty water for scattered largemouth with a black, white, or chartreuse colored �-ounce Jackall Fire Cracker buzz bait. In muddy water, he believes the sound draws in fish, even if there�s a little wind. A Shimano Metanium MG 7.1:1 casting reel spooled with 50-pound Seaguar Smackdown braided line paired with a 7�3� heavy-action McCain High Performance Rod is his preferred buzz bait outfit. Fishing a homemade or Jackall Super Eruption spinnerbait on 20-pound Seaguar Invizx fluorocarbon works, too. Using a lower gear ratio keeps his retrieve in check. Muddy water calls for tandem gold-colored Colorado blades paired with a black neon head He�ll slow roll a single-bladed bait also. Flipping and pitching his way through cover with a �-ounce weight helps to cover more ground quickly. He�ll mix in 3/8- and 5/16-ounce weights since they skip better. A slower fall helps when targeting the big base of a willow tree. During colder months, the slower fall of a 3/8 to �-ounce jig works best. After trimming the skirt just behind the hook bend, he�ll turn the jig upside down causing the skirt to flare. In cold water, he�ll use a chunk and a trailer with more action in warmer conditions. He�ll hop the bait once off the bottom before moving onto the next target, but will make multiple presentations to promising targets. Utilizing his Power Poles, Elam will lock down on a specific piece of cover to dissect it. It also prevents him from floating over other potential prime targets. When fishing a steep-back cove or deep water, he�ll try to stay down wind and approach it from the shady side. �If you do catch one, it blows you off the key area,� he said. Black/blue and green-pumpkin colored soft-plastics like the Jackall Archelon work well as do beaver-style baits. Baits with appendages excel during summer. When fishing a tube, adding rattles can pay off. He�ll use a thicker-walled straw and insert shotgun pellets before sealing each end with a pair of pliers and a lighter. Once it�s wedged horizontally inside the tube, it�s never coming out. "I've just always done it. What keeps it interesting is you never stop learning. We learn something new or different every day. That's the coolest thing about it."